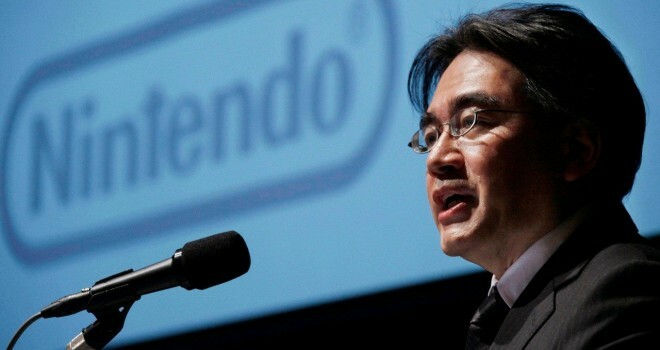 This morning, news broke out that Iwata supposedly stated that Nintendo “hasn’t been targeting kids enough.” Turns out, the quote was entirely mistranslated and Iwata actually stated the exact opposite of what was thought to have originally been said. Instead of stating “we haven’t targeted children enough”, Iwata actually stated that doing that exact thing isn’t enough. The fact that this whole debacle was simply a mistranslation is no doubt a relief to all of us. At first, I myself thought that Iwata still didn’t get it despite his admittance of flaws and lack of western knowledge. Of course these translation sites offer rough translations, but it’s safe to say that this result serves as a confirmation of Mr. Ward’s (and others’) claims. So false alarm everybody – you’re not going to see Iwata discussing new plans to go after the younger market even more aggressively than they are now. In a funny and very fortunate turn of events, the quote ending up showing implication that Iwata plans to go after older audiences now. Don’t forget that Nintendo’s Investor Meeting is taking place today at 8pm EST, so we’ll see what Iwata has in store for gamers and the future of Nintendo. THANK YOU for clearing out this BS. I can NOT believe everyone trusted Google Translate. Fake gaming media and their thirst. I’m sorry, but this translation is incorrect, as several native Japanese speakers confirmed on Neogaf. “We Haven’t Been Targeting Children Enough” or “Our approach to targeting children has been inadequate” depending if you want more literal or more paraphrased is the correct translation. Your translation is also incorrect in context, as it basically implies that Nintendo has been targeting only children so far, which is obviously untrue. PS: the one you quoted in the article also admitted he was wrong. Why not just get a random weaboo to translate stuff that Japanese devs and publishers have to say because they’re clearly more qualified for the job than you are. Using Google Translate and a random tweet as a basis for your arguments? Don’t you have any shame? Any journalistic integrity whatsoever? This, my fellow gamers is one of the prime examples why you should never, ever trust the so called gaming journalists who spout their “facts” without any kind of knowledge of the subject matter. This article is complete hogwash, the original translation is correct. Why would you post it if you don’t know a drop of Japanese is absolutely beyond me. Pull this article down, it’s misleading. Iwata’s quote was not mistranslated – all the Japanese WiiU owners are going batshit insane over what he said. Unless you think the Japanese fans misinterpreted what he said as well.